ConsultPointe provides psychiatric evaluation or services to hospitalized medical patients. AltaPointe psychiatrists provide hospital consultation services for eligible medical patients who need a psychiatric consult at Mobile area hospitals including Providence, Springhill, USA and USA Children’s and Women’s, and Thomas Hospital in Fairhope. Our psychiatrists work with primary care physicians, specialists, nurses and hospital staff to communicate, coordinate and integrate medical and psychiatric care that maximizes the benefit to our mutual patients. 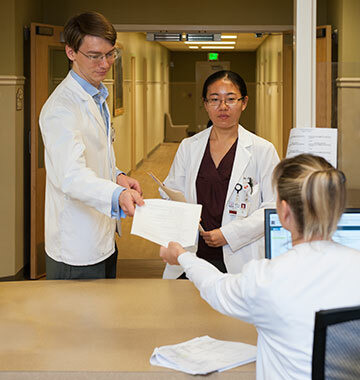 If an AltaPointe patient is admitted to any local hospital and needs psychiatric care as well as medical care, the hospital psychiatrist will be an AltaPointe psychiatrist. This arrangement provides an efficient and reliable consistency of care that is comforting to patients in medical and mental distress. CarePointe – Call. Connect. Care.